That's what I used to say... before I had a massive panic attack on public transport one day and thought I was going to die from a heart attack. That's what I used to say... before I was mentally shot from trying to self medicate for the little incessant voice rattling around in my head. That's what I used to say.... before I understood why my temper would explode for no reason over the fact that the person in front of me at the checkout was taking too long. That's what I used to say... before I realised that I had experienced severe depression and anxiety for close to 20 years and that I needed help. If you ever feel like any of these things do what I didn't do... 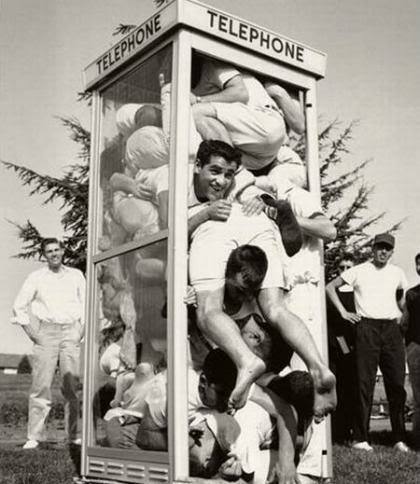 Speak to your friends, speak to your doctor and open yourself up. People care and they can help you. Most importantly you're not a sissy, you're not weak and you're not crazy... you are just like so many other people in the world who suffer from moments of such intolerable sadness that life seems too hard. I think nearly everyone will admit that Labor has totally lost control of Australia's borders, with numerous boats chugging over the horizon from Indonesia on a daily basis. Don't forget that under Howard the people smuggling trade had all but dried up with only FOUR people in detention in 2007. That works out at a cost of $203,704 per person based on Labor's own cost estimates. So, how much can we be expected to pay to process these illegal entrants to Australia? Let's go back to Labor's own figures. That's right kids, over SEVEN BILLION dollars just to process them. Don't worry about slugging us taxpayers with yet another tax to pay for DisabilityCare, how about you just shut the doors to illegal boat people, save a boat load of money and put it to use looking after Australians first and foremost. It's not that hard surely to see the connection? At this rate we WILL fill the MCG quite quickly wont we Julian Burnside? 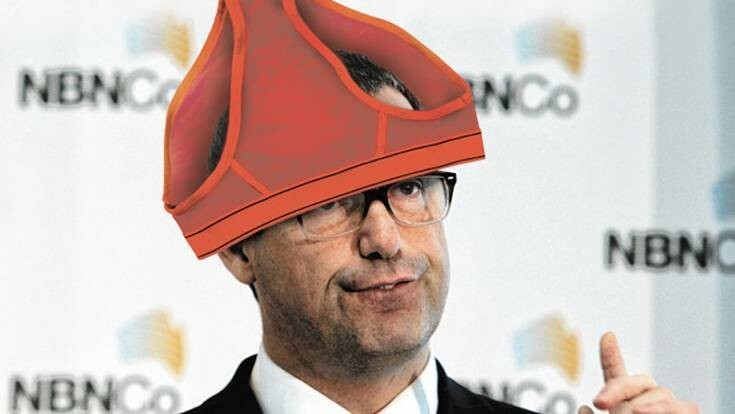 As we all know Senator "Red Underpants on their Heads" Conroy presides over the contentious National Broadband Network (NBN) rollout but what you might not know is that Labor's amazing IT gurus have helped to disseminate a computer virus to anyone who unwittlingly interacted with an email sent out from the Minister for Broadband, Communications and the Digital Economy. Michael Smith News reports that clicking on the campaignIQ logo on Conroys latest and greatest email missive users are taken to Bruce Hawkers, Labor's super campaign mastermind, candcgroup.com.au site. Apparently as one of Michael's reader attests there is a nasty virus sitting there caused by two possible scenarios. This happens quite regularly on Labor related Facebook sites with any negative comment removed by moderators to give the impression that everyone thinks that they're ace but there could be nothing further from the truth. Labor once again showing that they actually don't care to engage in democratic debate. Labor always positions itself to occupy the moral high ground on any and all policy areas, but only through default by actually removing people's democratic right to challenge and engage with any and all public commentary or trying to wedge their political opponents with empty policy announcements. 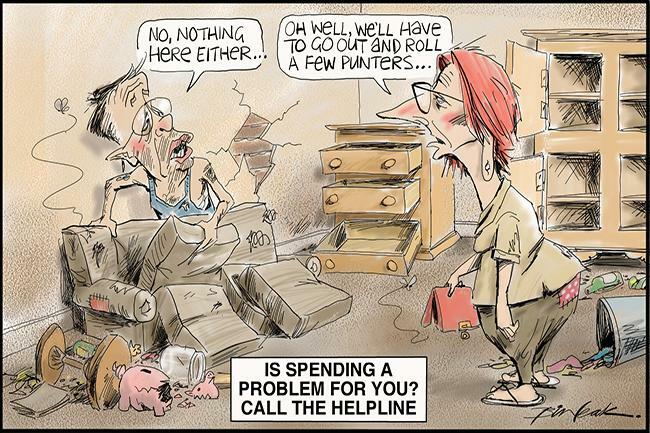 Poking fun at the never ending policy foul ups that have plagued the government ever since Gillard's coup de grace in 2010, it really hits the mark in portraying Labor as a bunch of headless chooks running amok in the henhouse. 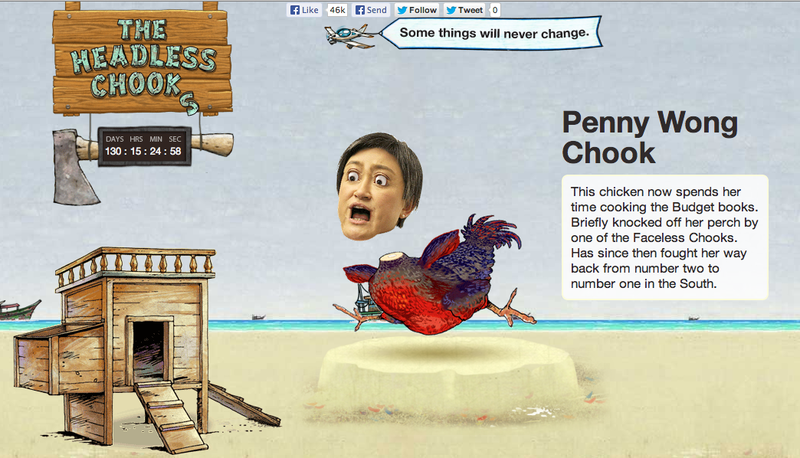 I would encourage you to also visit the campaign site for more chook lotto fun and check out the hilarious character assessments of the various Labor chooks. 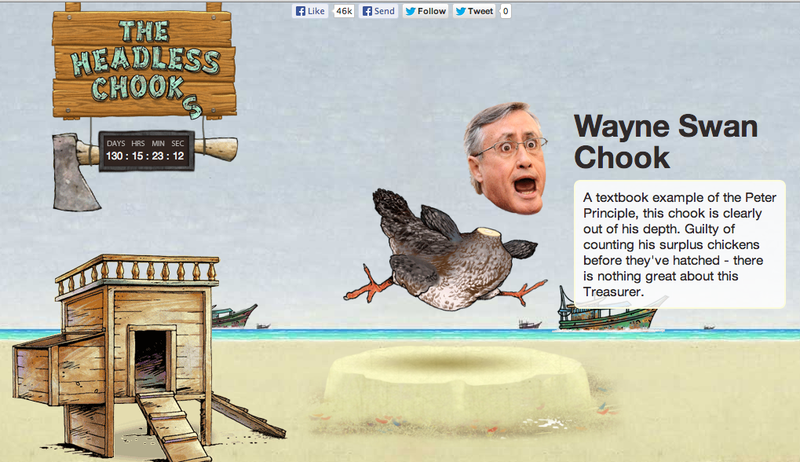 The pick of the bunch are the assessments for the "world's greatest treasurer" Wayne Swan and his Finance Minister sidekick Penny Little, ah I mean Penny Wong. 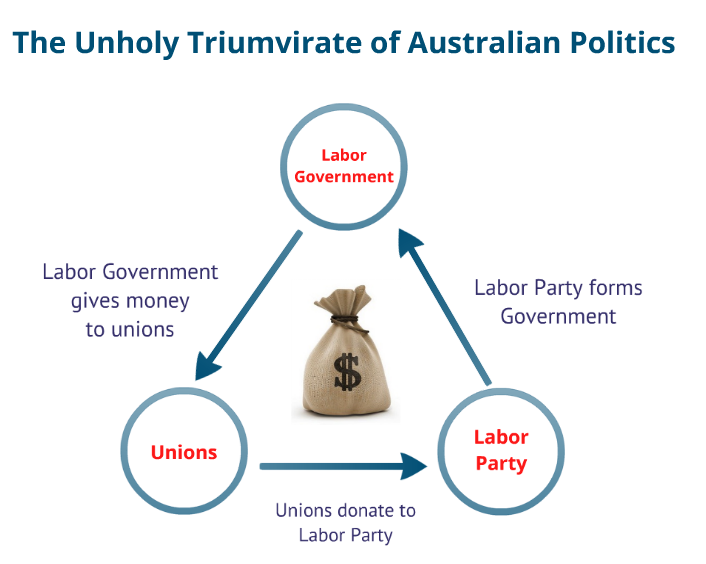 In my recent post "The Unholy Triumvirate of Australian Politics" I developed a nice little diagram highlighting the money-go-round that is the relationship between Unions, the Labor Party, and finally Labor Governments. Well that view has been completely affirmed by John Ferguson in The Australian just a few days ago in his article Militant union underpins ALP, which again is behind Evil Rupert's Evil Paywall™ so I will summarise for those of you that don't pay for the news you consume. The Construction Forestry Mining and Energy Union (CFMEU) is one of Australia's largest and most militant unions, and it turns out that this militant union is seriously underwriting the Labor party. However, I wonder what the response would be if Victoria followed NSW's lead and banned political donations from organisations and instead insisted that only individual people could make donations? I would imagine their response would not be a quiet nor meek stroll through the CBD. Interestingly, this legislation is currently being appealed in NSW by... you guessed it, the Unions. Like not pressing charges when a supposedly "young and naive" lawyer helped rip off several hundreds of thousand dollars out of their pockets. So we have all woken up to the earth shattering news... that Julia Gillard's word is not worth a pinch of salt. Last year when the NDIS juggernaut rolled over Australia's collective horizon most were unaware there was a problem with disability in Australia but what we did know was that Labor had previously rejected the concept of a levy to fund the NDIS, which the Productivity Commission said should be a last resort. Not only has Gillard once again changed her mind in changed circumstances, much like her now infamous 180 degree turnaround on implementing a Carbon Tax, she isn't really being all that up front about the impact of this proposal. Well, maybe she is... but in a weaselly, laywerish manner, where the detail is hidden just under the surface. See that? That's another $4 billion that we need to find PER YEAR, EVERY YEAR to fund this policy. 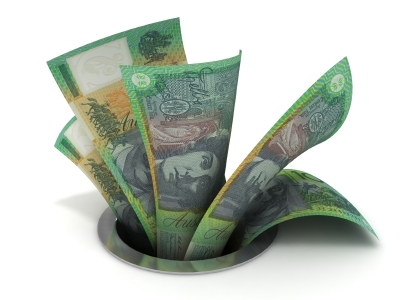 To be able to pay for the NDIS fully, we could expect another 0.5% increase in the Medicare Levy next year and as we know with taxes, they only go one way and as that great 1990's band Yazz once told us, that is up. 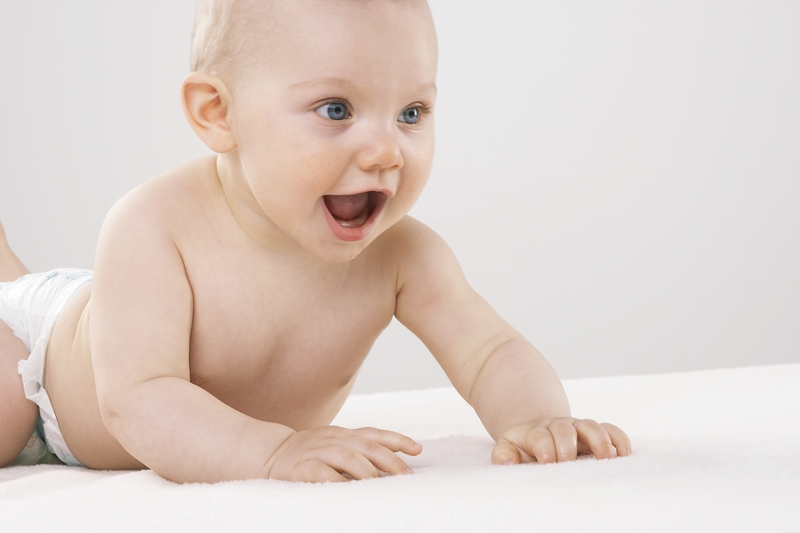 You see, I am a little gun shy about good old number two's, especially the baby version. Just don't like it, but I suppose no one really does. Well, after reading David Thompson's latest post, It’s Good for the Carpet and Smells of Candy Floss, it seems like some of the hipper communes in the States have come to the same idea and I reckon if it's good enough for the eco-hipsters then it's good enough for me. 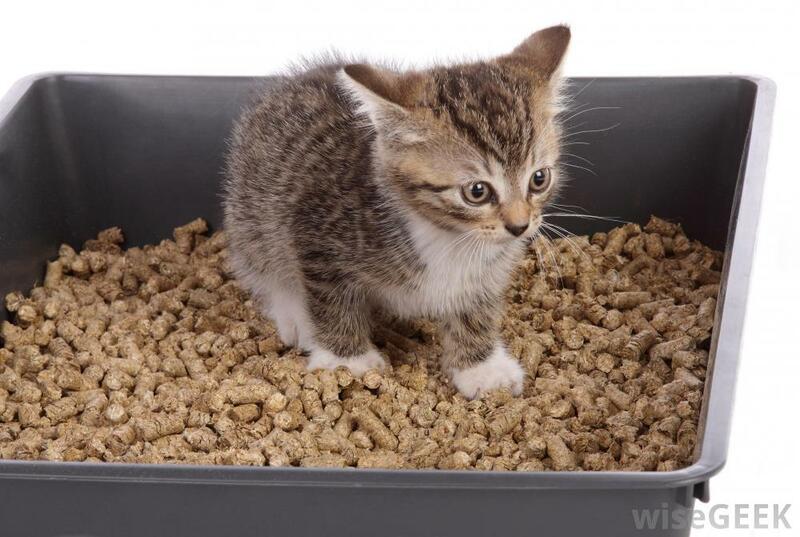 I'm doing it because I don't like poo but these eco-hipsters are doing it for the good of the environment and to connect more with some past, ancient cultures, god bless them their little frazzled eco-hipster brains. Saving the world one nappy at a time. Hmmm... that sounds kinda wanky actually now that I think about it a bit more. The main reason people are literally drowning to get to Australia from back-water third world countries is to get away from these "ancient types" of practices. Living in the first world allows people to embrace all the wonderful modern conveniences that technology and innovation can bring to people's lives. 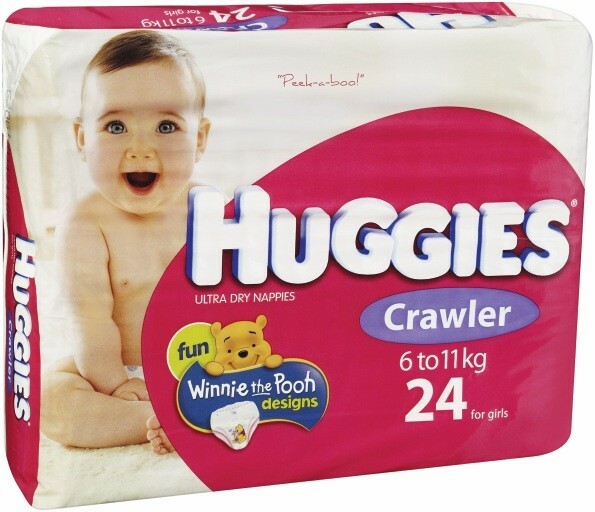 Like babies pooing in the comfort of their very own Huggies nappies, thus helping to prevent Mum or Dad from stepping in Junior's #2's en route to the fridge and saving the Tupperware for lunches. Remember when in June 2010, Prime Minister Julia Gillard promised she would not pursue Kevin Rudd's ''Big Australia'' population target of 36 million by 2050? 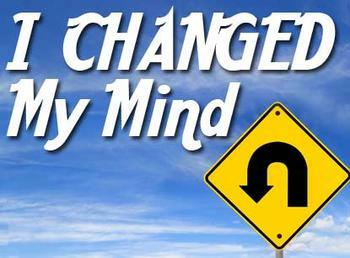 Why did Gillard back away from Rudd's grandiose idea in the first place? In my opinion Gillard mainly stated her opposition Rudd's unpopular idea because it quickly became a flashpoint on talkback radio and reflected poorly for Labor in the polls. Additionally, Gillard wanted to appear more moderate than Rudd, which is exactly what Rudd did to convince voters to dump John Howard as PM. Hmmm.. seems we don't learn very much do we. Under Gillard, the permanent immigration program stands at more than 200,000 a year - the highest level in Australian history. In short, Gillard has spectacularly broken her first promise as PM. She even recently admitted that Australia would continue to run ''a sizeable immigration program''.